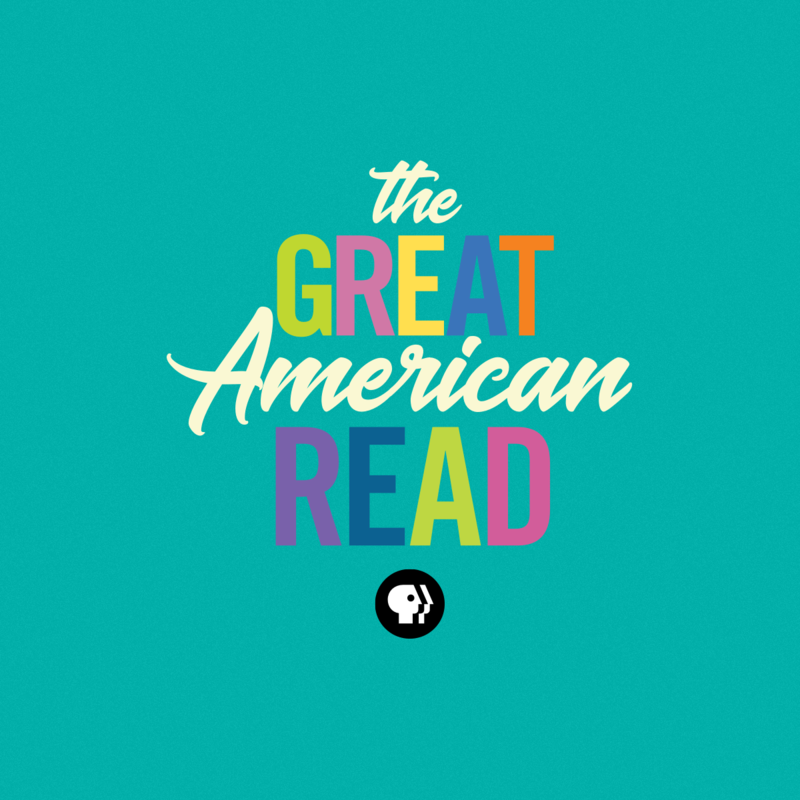 The Great American Read is an eight-part series that explores and celebrates the power of reading, told through the prism of America’s 100 best-loved novels (as chosen in a national survey). All of the books that made the list are truly great, but only one can be named The Great American Read. Read our last post to see which 40 Books are leading the race, and find a list of my favorites listed below. If you don’t see your book, there is still time to change that. You can vote for your favorites each day until Thursday, October 18, 2018 at midnight PT, when voting closes. Click here to vote now. The 1984 book explores the issues of womens rights, religion, and individual liberties. Atwood conceived the novel as ‘speculative fiction,’ (similar to Louis Lowry’s The Giver), works that imagine a future that could conceivably happen without any advances in technology from the present. In other words, she said, “Science fiction has monsters and spaceships; speculative fiction could really happen.” Every aspect of the book was inspired by social and political events of the early 1980s, but remains poignant because we can imagine this happening today. The Great Gatsby is a classic choice for The Great American Read because it is an archetypal representation of The American Dream: if you work hard enough, you can succeed. The story primarily concerns the young and mysterious millionaire Jay Gatsby and his passionate obsession with a married Daisy Buchanan. Considered to be Fitzgerald’s magnum opus, The Great Gatsby explores themes of decadence, idealism, resistance to change, social upheaval, and excess, creating a portrait of the Roaring Twenties that has been described as a cautionary tale regarding the American Dream. People should read The Help because it is real. Though it is a work of fiction, it is based on true events. The story is about African Americans working in white households in Jackson, Mississippi, during the early 1960s. Kathryn was born in 1969 in Jackson and grew up in a household with a black housekeeper. The story was based on her experiences growing up and it was just adjusted to occur in the 1960s in the midst of the civil rights movement. A beautifully written but painful story steeped in American history. It tells the story of black household workers in the South in the early 1960s—domestic helpers who take great risks by sharing stories about what it’s like to walk a mile in their shoes. Their tales not only reveal the great sense of empowerment that comes from sharing and having your voice heard, but also remind us of the greatness of the real women who do this work today under sometimes terrible conditions. It is a novel about empowered, heroic women taking a stand for human rights during the civil rights era. It was also adapted into a movie in 2011. Beloved is a 1987 novel by the American writer Toni Morrison. Set after the American Civil War, it is inspired by the true story of an African-American slave, Margaret Garner, who escaped slavery in Kentucky late January 1856 by fleeing to Ohio, a free state. It’s a difficult read, and not just because of its fragmented narrative and ghostly characters, but because of its subject matter. With this novel, Morrison evokes the specter of slavery that haunts a family, and questions the dichotomy that separates “human” from “animal”. The institution of slavery is painful, and learning about it takes maturity. “Beloved” is horrifying, but it’s books like this that force us to contemplate our country’s history on a genuine level. The painful truth of this novel is exactly what makes it valuable and essential. Seventeen percent of all Americans are of Hispanic or Latino origins, making up the nation’s largest ethnic or racial minority. 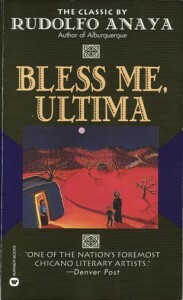 It is important to read books that reflect the diverse cultures that make up the melting pot of American culture (such as One Hundred Years Of Solitude by Gabriel García Márquez), and this book does a great job of representing Chicano culture and educating readers. In this coming-of-age novel set in 1940s New Mexico, a young Chicano boy finds his moral and spiritual path with the help of a healer. John Steinbeck’s The Grapes of Wrath is not merely a great American novel. It is also a significant event in our national history. When Tom Joad and his family are forced from their farm in the Depression-era Oklahoma Dust Bowl, and set out for California in search of jobs, land, and a brighter future. Capturing the plight of millions of Americans whose lives had been crushed by the Dust Bowl and the Great Depression, Steinbeck awakened the nation’s comprehension and compassion. Message of survival, perseverance despite all odds. A spoiled southern belle must get her hands dirty and is forced to grow into an independent, strong female lead. Despite being historically set during the American Civil War, the novel fails to provide an accurate account of American life. However revolutionary it was to write the book through an empowered female perspective, it seems to glorify the Southern perspective and glosses over the atrocities suffered by soldiers and slaves. In my opinion, there are two other books on the list that address slavery (Beloved by Toni Morrison and The Help by Kathryn Stockett), though Gone With The Wind paints a historical look into the lives of women during the American Civil War. Little Women, the adored classic tale of four devoted sisters, was loosely based on Louisa May Alcott’s own life. In fact, Alcott drew from her own personality to create a heroine unlike any seen before: Jo, willful, headstrong, and undoubtedly the backbone of the March family. Follow the sisters from innocent adolescence to sage adulthood, with all the joy and sorrow of life in between, and fall in love with them and this endearing story. Praised by Madeleine Stern as “a book on the American home, and hence universal in its appeal,” Little Women has been an avidly read tale for generations. Ifemelu and Obinze are young and in love when they depart military-ruled Nigeria for the West. Beautiful, self-assured Ifemelu heads for America, where despite her academic success, she is forced to grapple with what it means to be black for the first time. Quiet, thoughtful Obinze had hoped to join her, but with post-9/11 America closed to him, he instead plunges into a dangerous, undocumented life in London. This 2014 bestseller encapsulates African-American literature, capturing oral tradition with the written word. This book is great for teaching empathy and understanding for people who are considered different. The Notebook is a 1996 novel by American novelist Nicholas Sparks which was adapted into a film in 2004. Every so often a love story so captures our hearts that it becomes more than a story — it becomes an experience to remember forever. The Notebook is such a book. It is a celebration of how passion can be ageless and timeless, a tale that moves us to laughter and tears and makes us believe in true love all over again. The Notebook mostly takes place during 1946 in a plantation home in New Bern, North Carolina. I personally believe that some of the books that made this list shouldn’t win. Though they have great literary value, they simply are not American (not written by Americans nor even set in America). I actually really love these titles, but they do not encapsulate Americana, IMO. The following are books that I love that I simply will not vote for. I had a very hard time picking my first favorite, but ultimately I went with Jane Austen’s Pride & Prejudice. This was the first classic novel that I truly fell in love with. I have seen all six film adaptations multiple times, and read this more times than I can count. I love Pride & Prejudice, but I stopped voting for it because it is not American. It is written by a Brit, set in Regency-era England. There is simply nothing American about this novel, other than the universal themes of love, friendship, and first impressions. And I want to see an American novel win The Great American Read. The story is deeply but gently satiric, enlivened with an imaginative plot and brilliant use of nonsense. 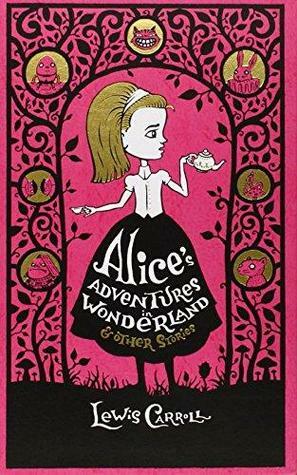 As Alice explores a bizarre underground world, she encounters a cast of strange characters and fanciful beasts: the White Rabbit, March Hare, and Mad Hatter; the sleepy Dormouse and grinning Cheshire Cat; the Mock Turtle, the dreadful Queen of Hearts, and a host of other extraordinary personalities. The tale plays with logic, making the story popular with adults as well as with children. It is considered to be one of the best examples of the literary nonsense genre. This book also isn’t American, but it is a great selection. The rise and the fall of a respected Nigerian Igbo leader as he challenges European colonialism and modernization. We begin to see a changing culture that starts questioning traditions, threatening old customs. As new beliefs and institutions are introduced to the community, the Igbo culture collapses and, for our hero, ‘things fall apart’. For the same reasons, I have chosen to not vote for this title because it isn’t exactly American. The Alchemist is a novel by Brazilian author Paulo Coelho that was first published in 1988. Originally written in Portuguese, it became an international bestseller translated into some 70 languages as of 2016. An allegorical novel, The Alchemist follows a young Andalusian shepherd in his journey to the pyramids of Egypt, after he has a recurring dream of finding a treasure there. The book’s main theme is about finding one’s destiny. I have had to read this multiple times throughout my school years, and have revisited it more than once as an adult. Coelho is one of my favorite authors, and has a talent for weaving beautiful prose with spiritual revelations. I often wonder what my favorite novel would be if I had to choose. I think Pride & Prejudice would be a great contender. The Help was one of those books that really sat with me for a long time after I read it, it is such a powerful book! Pride & Prejudice is easily my favorite on the list, I just don’t think it fits as the Greatest “American” Read, you know? The syntax is messing with me. I have been voting for The Handmaids Tale, The Help, and The Great Gatsby, mostly. I think those three are really exemplary of American readers AND experiences! I completely agree, it bothered me how many non-American novels were on the list! I also think those three novels are perfect choices. Each one has played a significant role in our culture.